Ahh, it’s officially fall. What do you have on your bucket list this season? Here are a few of our favorite fall activities around the Manassas area – and we think you’ll enjoy them too! To kick off your fall festivities, visit the 3rd annual Bands, Brews, and Barbeque Festival this weekend (Sep. 28, 12:00pm to 7:00pm) on The Manassas Museum Lawn. This is a free festival where attendees can enjoy a picnic on the lawn, the best barbeque in Virginia, and listen to talented bands play everything from rock to jazz. The following weekend, stop by the 31st Annual Manassas Fall Jubilee in Old Town Manassas. This event is the classic fall festival with everything from crafts, to face painting, to food and entertainment. If you’re not quite ready for fall, this festival is sure to put you in the mood. Just 20 minutes out of Manassas is Burnside Farms, a farm that offers pick-it-yourself organic produce. You can pick out the perfect pumpkin for carving or get a basket full of fresh apples. If you can’t make it to a farm, visit the Farmer’s Market held every week in Manassas. In the fall, produce switches to pumpkin, squash, kale, and other seasonal fruits and vegetables. Visiting a local farmer’s market lets you buy the freshest produce while supporting local farmers. Feel like indulging in a little history? No problem. Visit the Manassas National Battlefield Park on a sunny day to explore the rich history of our town. This park is also the number one ranked attraction in Manassas! Go with your friends or family to take a tour and learn a little bit about the 1st and 2nd Battle of Manassas. The crisp air and colorful leaves will only add to your experience. These are only just a few of the many, many things to do in Manassas during the fall season. We look forward to more festivals, spooky attractions, and colder weather in the future! Just one more reason why you’ll be happy you’re renting: Despite gains in the real estate market and increases in home prices, millions of homeowners still owe more on their home than their home is worth. When the housing bubble burst a few years ago, home values dropped dramatically. Homeowners lost upwards to 60 percent of their home’s value in just a matter of years. Salaries were cut and employment dropped, but many still had to pay their mortgages on a home that was no longer worth the price. As a whole, American homeowners are missing $428 billion of equity that has yet to be recovered. According to CoreLogic, a residential property analytics company, this puts 7.1 million people, or nearly 15 percent of all homeowners, underwater on their mortgages. Unfortunately, many still have a long and taxing road to recovery, if they recover at all. The Chief Economist for CoreLogic says, “In just the first half of 2013, almost three and a half million homeowners have returned to positive equity, but the pace of improvement will likely slow as price appreciation moderates in the second half.” While many remain optimistic from the major improvements in the housing market, homeownership may no longer be an option for millions of Americans. This daunting reality has encouraged more and more people to rent instead of buy. And with the headache that so many homeowners will continue to face in the future, there’s no better way to enjoy your home than to rent. Renters can live in nicer apartments for less – without the fear of losing their house. Also, for those who aren’t ready to take on the extra costs that come with owning a home – like maintenance, repairs, homeowners insurance, and much more – renting is the perfect option for your active lifestyle. 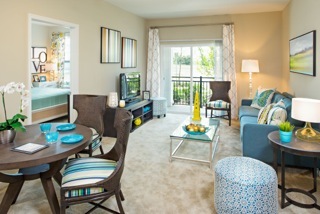 Arcadia Run offers the best of apartment living at a huge pricing advantage. Renters live in homes with the best, most up-to-date features, and only pay a fraction of what homeowners are currently paying. Within the next year, Arcadia Run residents will also enjoy a jogging trail, a playground, a fitness center, and a resort-style swimming pool. All of this without the stresses of homeownership, what could be better?